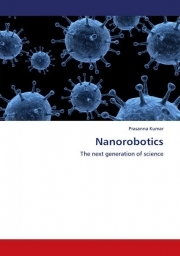 This book attempts to cover all the topics needed to build a nanorobot for applications involving medical, defence wit certainty. The bulk of six chapters are concerned with reactive paradigm and behaviours. The book is decided into two parts. Part i defined architecture of nanorobot and part ii defined the experimental methods and applications of nanorobot. Pedagogical features such as chapter-end summaries, photographs and diagrams enhanced the value of this well-researched text.